Syrian president Bashar Al-Assad is a British-trained ophthalmologist. 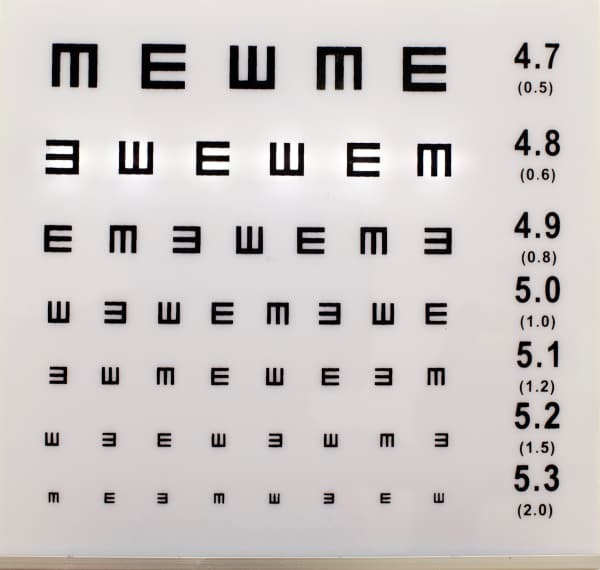 The eye doctor’s tumbling E eye chart is the alpha and omega of Syria objects. Does Dr. Bashar still dream about tumbling Eye Doctor E charts and the course for Syria they might chart: left, right, up or down? The project premiered in Aleppo, Syria in August 2010.